Easily dispense a controlled amount of liquid with this 4 fluid oz. 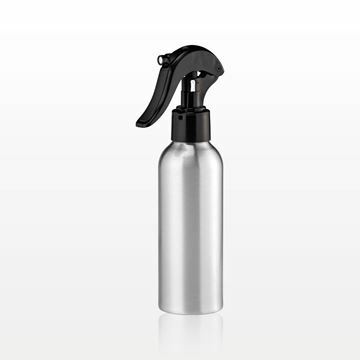 assembled aluminum bottle with black trigger sprayer. The ergonomic design of the trigger fits nicely in your hand for precise application. This sophisticated trigger also comes with a locking mechanism to keep your liquids from spilling during travel. This Brush Tip fits with our Clear Dial Up Applicator Tube (Part # 70914) and our Clear Click Pen Applicator Tube (Part # 70916). Add a touch of sophistication to your lipstick packaging with this sleek matte black 2.95 inch ABS empty lipstick tube with silver band. The cap snaps closed to ensure a tight fit. Fill using a lipstick mold made for 12.7 mm inner diameter tubes. 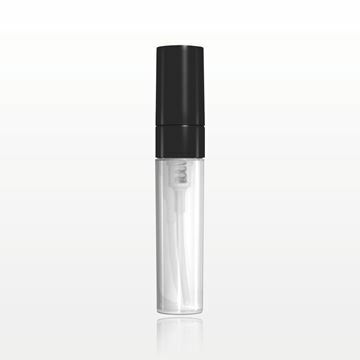 This 5 ml refillable roller ball bottle allows your customer to create their own travel size of their favorite fragrance. 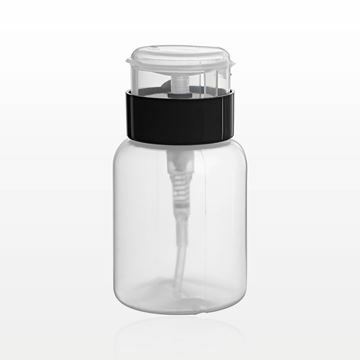 This innovative bottle features a refillable base. 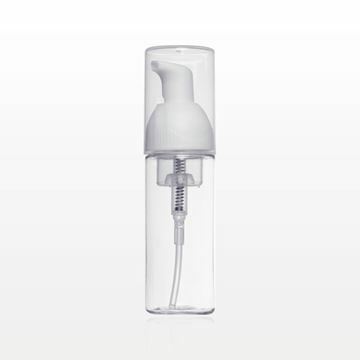 Instead of using a traditional funnel or pipette to transfer liquids, simply start by removing the spray pump from any standard fragrance bottle. Once the tip is visible, place the base of the refillable bottle over the nozzle and press down firmly. Repeat several times until the bottle is filled. Replace cap and go. 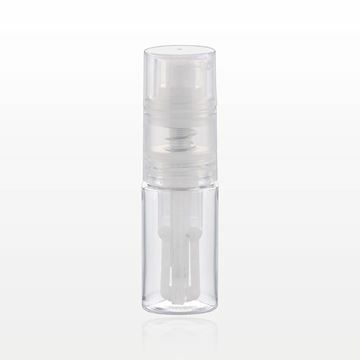 Conveniently, this roller ball bottle comes with a separate adapter piece, which will help it fit almost any perfume bottle. 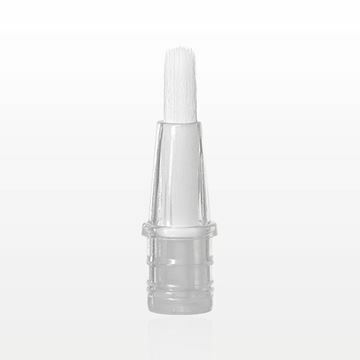 This Slanted Multiple Hole Flocked Tip Applicator conveniently fits with several of our tubes including the 1 ml Clear Dial-Up Applicator Tube (70914), 2.8 ml Click Pen Applicator Tube (70916), 2 ml Dial-Up Applicator Tube (Part #70922), and 3.85 ml Dial-Up Applicator Tube (Part #70924). 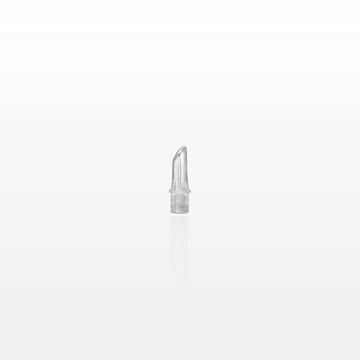 This Slanted Single Hole Tip Applicator fits with our Clear Dial Up Applicator Tube (Part # 70914) and our Clear Click Pen Applicator Tube (Part # 70916). 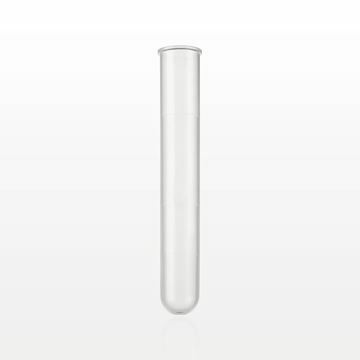 This slanted silicone single hole tip applicator conveniently fits with several of our tubes including the 1 ml clear dial-up applicator tube (70914), 2.8 ml click pen applicator tube (70916), 2 ml dial-up applicator tube (Part #70922), and 3.85 ml dial-up applicator tube (Part #70924). This 2 ml natural spray bottle with black cap is the perfect vehicle for packaging fragrance or other liquid based formulations. 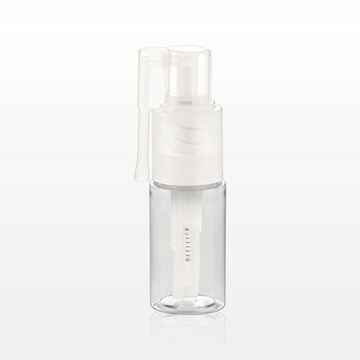 We make it simple to shop for wholesale cosmetic bottles in the type or size to complement your products. 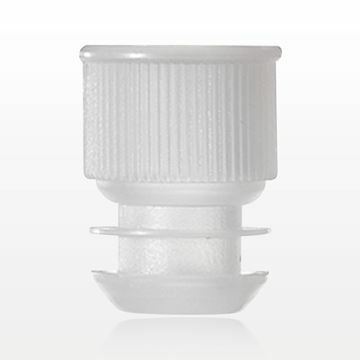 Qosmedix offers bottles in a broad spectrum of designs. This includes products with flip, roller ball, dropper, screw cap, plug or pump tops. We stock clear or colored options made from a variety of different materials. 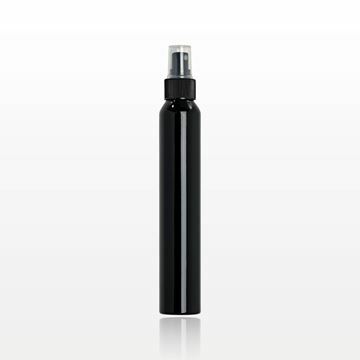 You can also order dispenser, airless and spray bottles. Our bottle shapes are also wide-ranging – from narrow to wide-necked and from cylindrical to square. 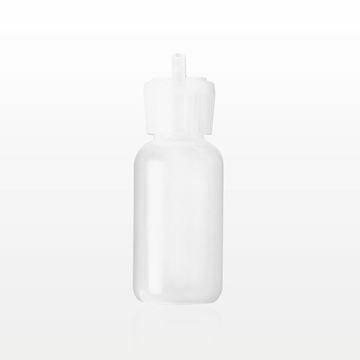 The empty cosmetic bottles at Qosmedix are available in a variety of materials, such as aluminum or LDPE. Our selection features products for the ideal packaging of cosmetic formulations. We have wholesale bottles for foundations or skin care creams. 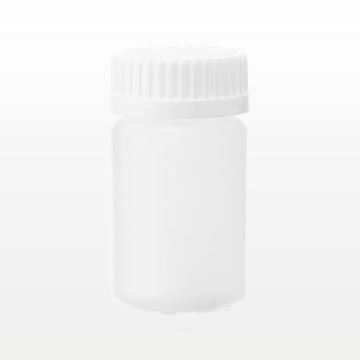 Whether you need a bottle with a safety cap or a clear cosmetic vial, we are your source for stock packaging supplies featuring quality and reliability. Qosmedix is here to serve businesses of all sizes. We provide lower minimum ordering requirements on our cosmetic and skin care bottles, so more businesses can receive the exact bottles they need for storage and distribution. 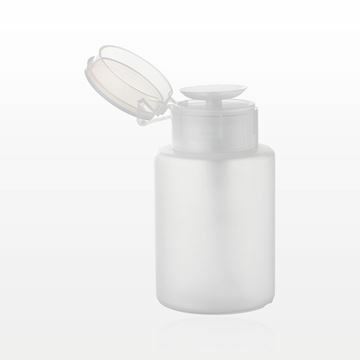 We also offer high-volume discounts for customers who wish to order wholesale lotion bottles or cosmetic jars in bulk. Customizations are available on all of our bottles to help businesses promote their brands effectively. A quality bottle can be attractively customized with a logo or imprint. A custom color can deliver optimal impact. Choose your ideal bottle now, chat with a knowledgeable representative live during business hours, or contact us for additional product information. Qosmedix is a trusted source for all types of cosmetic packaging, including wholesale vials that meet specific stock packaging needs. 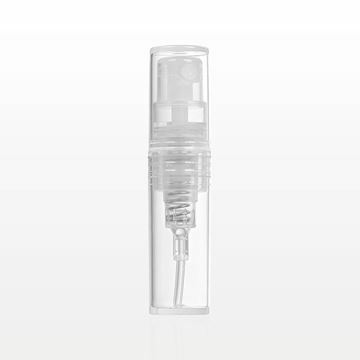 Our vials come in a variety of styles, such as screw cap/plug, applicator tip, sprayer and roller ball. They are available in a full range of sizes starting at 1 ml. Unique features can support smart packaging solutions. 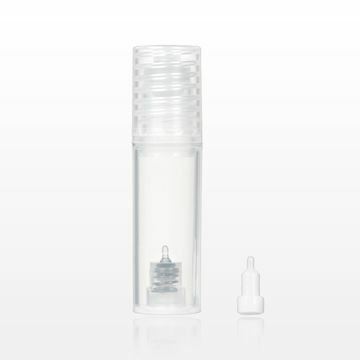 Self-standing designs make filling empty cosmetic vials easier. 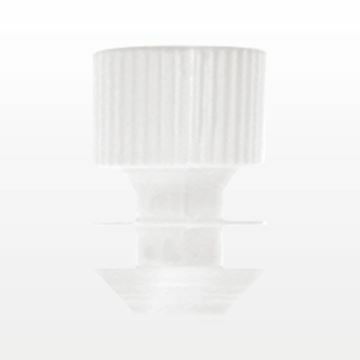 A strap-attached screw cap means the correct cap is always on hand. Once a product is properly packaged, it can be offered as a sample, for individual resale, or as part of a collection in a wholesale makeup bag. At Qosmedix, we cater to all types of businesses with low minimum order requirements. 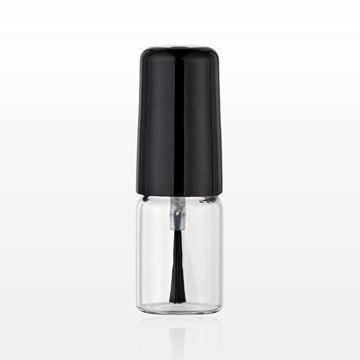 We also offer volume discounts when larger quantities of wholesale cosmetic tubes and vials are needed. Do you want a custom cap color or a logo on a roller bottle? We’re here to help promote your brand!